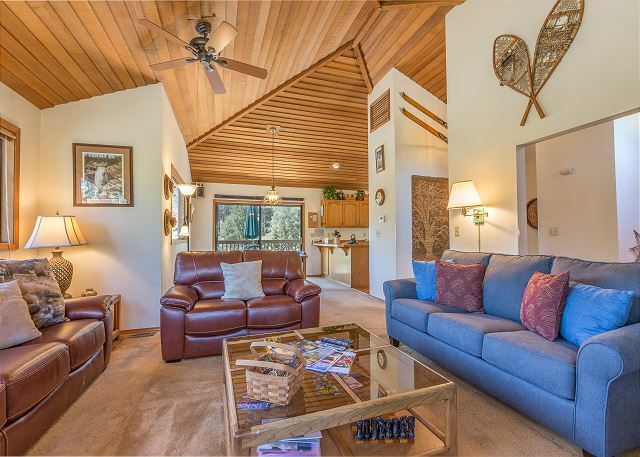 Poplar Lane #24 is located near the quiet Cottonwood entrance/exit area with 3 bedrooms and 2 baths. The living room provides a fireplace and new comfy sofas with a queen hide a bed to gather with family and friends. 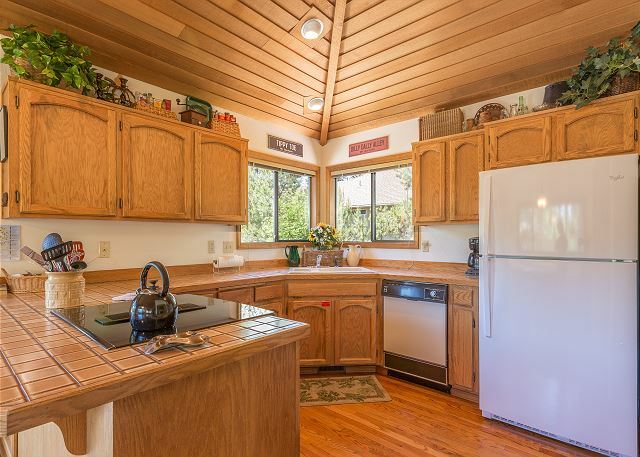 The fully stocked kitchen overlooks the dining area in this reverse living vacation dream home. 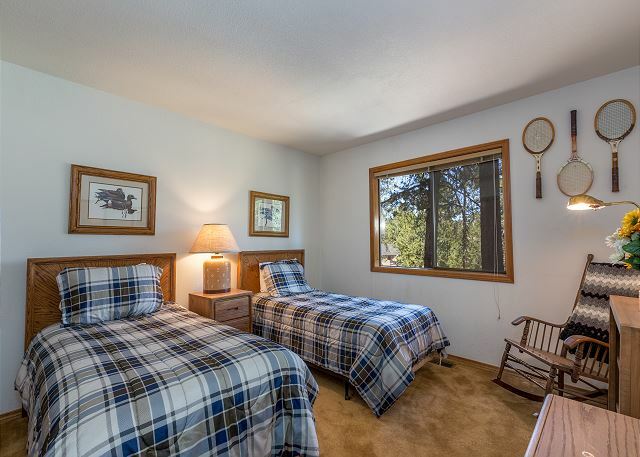 The 3 bedrooms offer a queen bed and 4 twin beds (may push the twisn together to make a King). This home comes with 8 Unlimited SHARC Passes. 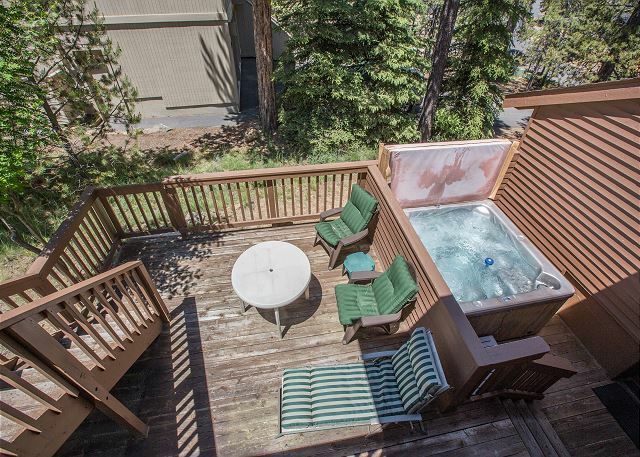 Relax in the new private hot tub and use the gas BBQ to grill up family favorites. Ski Mt. Bachelor or visit a nearby lake to soak up some sun. 1 Queen, 4 Twins, 1 Queen HAB, 3TVs/2VCRs, DVD player, D/W, W/D, microwave, fireplace, 7 bikes, 2 levels, reverse living, gas BBQ, single garage, new Jenn Air range in kitchen. Newer Hot Tub, New couch and love seat in the living room! The house was great. It met our needs with 4 kids and my husband and I. Lots of room so we didn't feel like we were on top of one another all weekend. Sunset Lodging was great when I reported a couple of issues. Had someone out within an hour to fix it. Seriously... if you run into any problems, call them.... they will fix whatever the issue is. We had a great stay and would certainly stay again. Thank You for your review! We are glad to hear that you were able to spread out and relax, probably much needed with 4 kiddos!! It warms our heart to hear your wonderful compliments to our staff. We do our very best to accommodate our guests and we appreciate you letting us know that it did not go unnoticed! Come back ANYTIME!!! 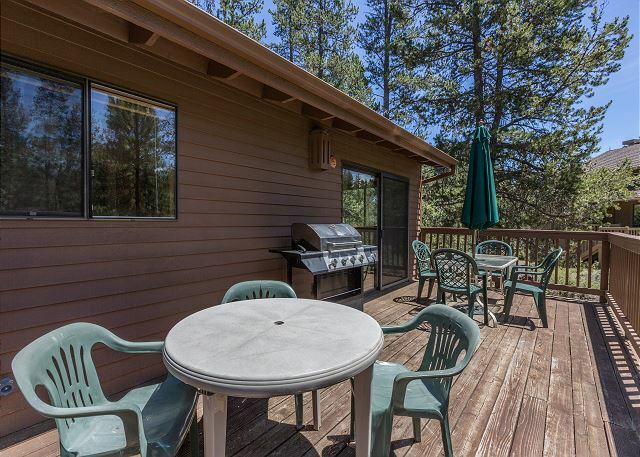 Everything you need in Sunriver! We were very pleased with our accommodations and our experience with Sunset Lodging! We came up from CA to watch the eclipse and Sunriver proved to be the perfect, family-friendly location to base ourselves for the week prior. The house was very clean and stocked with absolutely everything we needed, from cooking utensils to extra blankets to towels for the pool. There are videos, books and a cabinet full of board games and puzzles. There were even bikes of all sizes and a bike pump in the garage - if we had know this we might not have lugged our bikes all the way from CA! We were pleased to find the hot tub was clean and hot and ready for us to get in when we arrived! The passes to SHARC were great also and we spent several afternoons there. 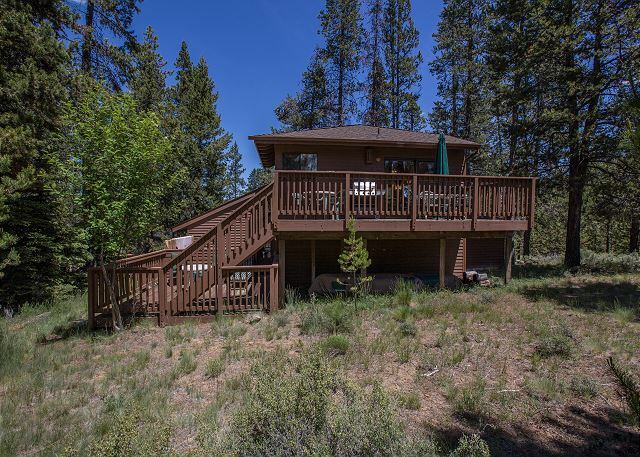 The location in Sunriver was ideal, very easy to get around and navigate to all the places we wanted to go. The only negative was the queen bed in the master was not very comfortable, but the kids seemed to be satisfied with the twin beds. We would absolutely stay here again and appreciate the easy check-in/check-out and perfect communication from Sunset Lodging. Thanks! Thank you for your review Katherine! We're happy you joined us for the Eclipse this year, it was amazing! Sunset is happy you were provided with everything you needed to enjoy your vacation. See you again in the future! 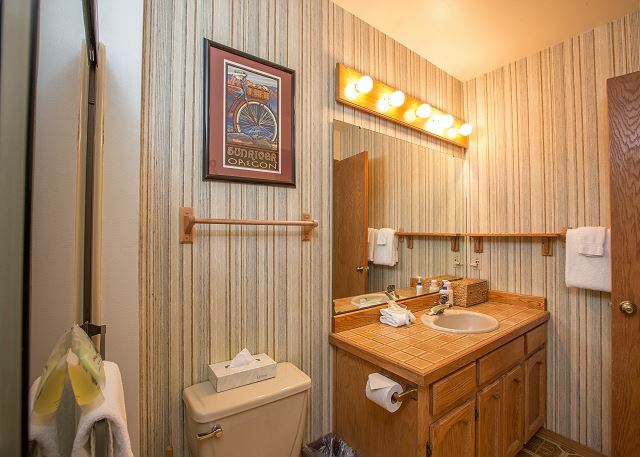 a guest from Beaverton, OR does not recommend this vacation rental. We have been taking an annual family vacation to Sunriver for the past 18 years. This home is in a great, quiet location, had a well stocked kitchen and was very spacious considering we had 8 people in our party. It has 8 SHARC Passes. And, the property management company provided excellent service whenever we had an issue. The only downside was that there was some deferred maintenance on the house. First and foremost, the back railing along the deck is significantly loose. Also, three of the bikes were broken and couldn't be ridden. Luckily, my husband is handy and was able to fix them. Four of the outdoor patio chairs are broken (we stacked them in the corner). The carpet has significant stains on it. And, there is a dirty, ripped leather sofa in the family room. The downstairs bedrooms decorative/sham pillows had smudges and drool stains on them (really gross). They also smelled like perfume. The house appeared clean but the stained carpets, dirty leather sofa and strange smudges, stains and smells on the pillow shams gave us the impression that the house was dirty. 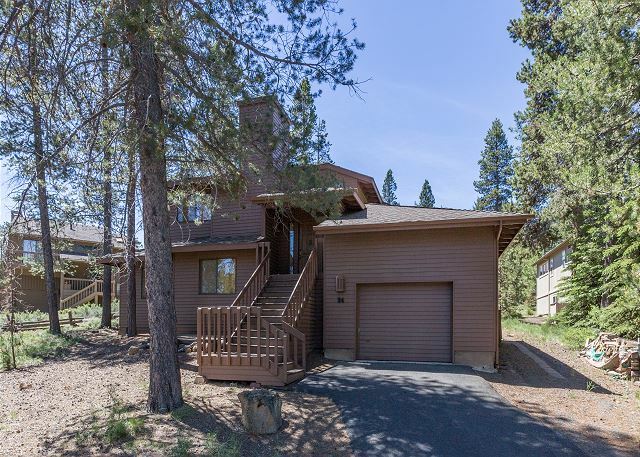 Sunriver is a wonderful place and this isn't a bad place at just needs a little TLC. Thank you for this feedback, Troy! I have alerted both maintenance and Housekeeping of these issues and they will be handled immediately. I am very glad we were able to share our high level of service and we always, always, always invite you to let us know about ANY issues you have as soon as possible so that we can fix them WHILE you are here and never run the risk of them hindering your vacation. 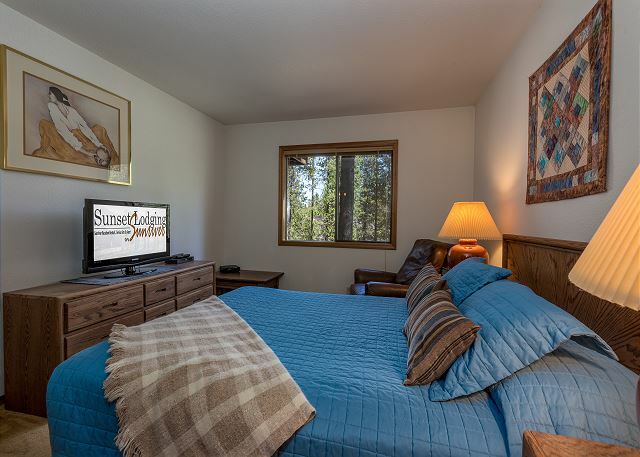 We cherish every single one of our guests, and we know that there will sometimes be things that need to be addressed, so our goal is to do that with speed and efficiency so we know that you will come back to Sunriver. And on that note, please come back soon! Thanks again for this invaluable feedback and the time you took to help us get better. We REALLY appreciate it! Loved being in a house that fit me and my friends. Glad you enjoyed your visit to Poplar 24, Zack. 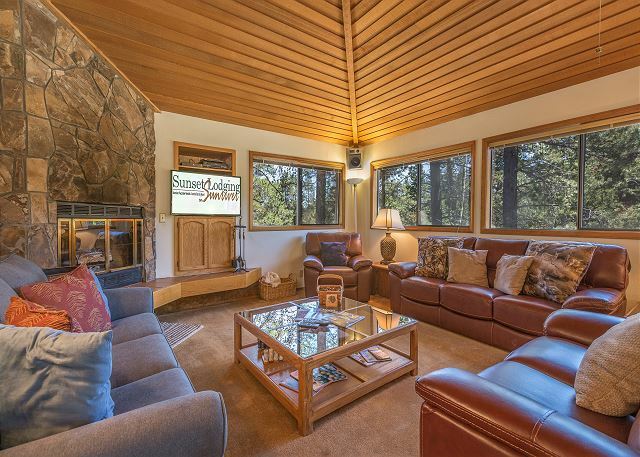 We hope you'll get back to Sunriver for another visit soon ! The location is good. When we arrived, the thermostat said it was 98° in the house. I called the office and only then found out the home didn't have A/C. They brought fans for us. The bikes need to be updated, almost each one had an issue with it. Hot tub stayed hot which was good. BBQ grill worked great. This was a wonderful week with the family. 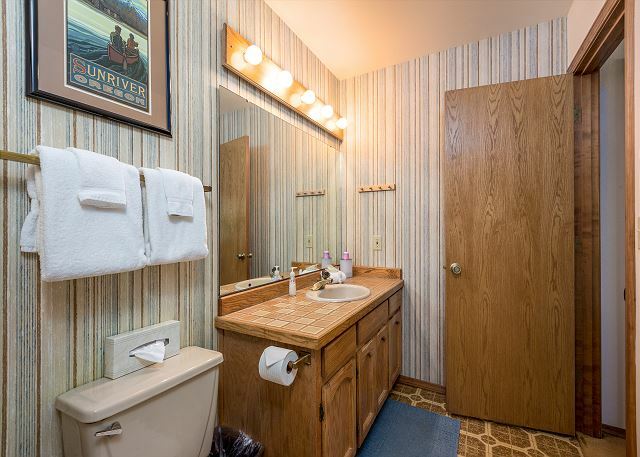 The home is ideally situated--not too close to the Aquatic Park or the Village. It's on a street with, what appears to be, owner occupied homes that are very well cared for. The home is large. All bedrooms are Two bedrooms downstairs, one at the mezzanine and the kitchen and living areas are up on the top floor. There are a lot of stairs--leading to the home and then inside. 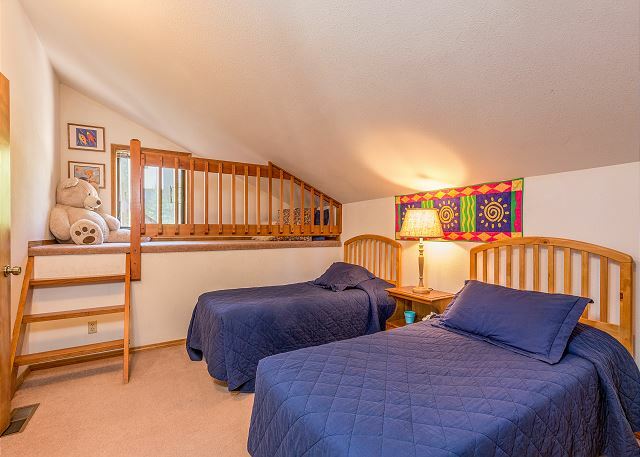 The rooms downstairs stay really cool, which was nice, and there are ample blankets if needed. Lots of cooking items in the home as well. Living room/dining room very comfortable. 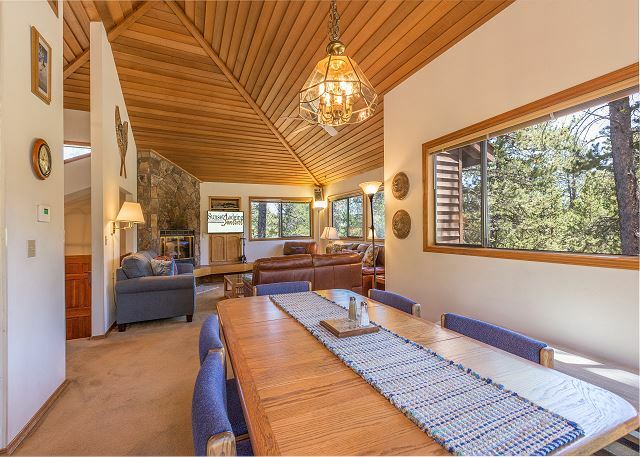 Loved the openness of the upstairs living area with all the windows! Only downside was a smell in the downstairs twin bedroom. Pretty nasty. My biggest concern was finding out that future renters in Sunriver won't have any access to the North pool. SHARC is a chaotic nightmare of which neither myself nor my kids ever wish to reexperience. The idea of going to Sunriver and not being able to go to a pool in the summer makes it pretty much a non-option for a vacation. And we've come here every year for about 20 years. Perhaps time to switch to Eagle Crest. Can you let SROA know that visitors need a pool? Thank you for your review. The SROA has been informed of what our guests want and need. I hope in the future we would be able to see you again soon. Easy to find location. The home worked out well for the most part for our group of 7 women (aged 65+ years) Lots of stairs though- outside & inside - Both bathrooms are on the lower level - was ok but not the best set up. Although it sleeps up to 8 there were only 6 dining chairs - we pulled in a deck chair. Hot tub worked well. 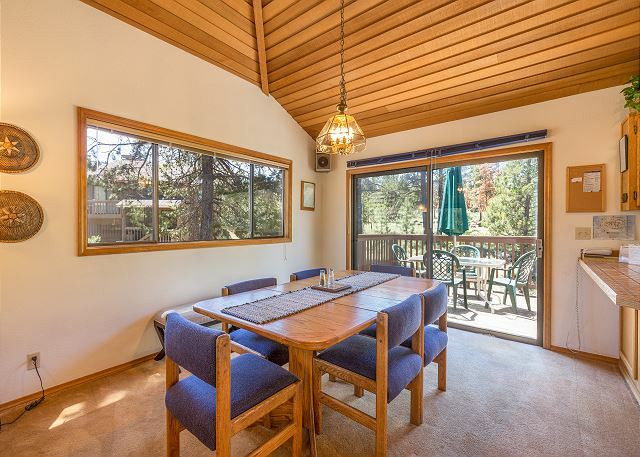 Nice open upper level - kitchen/dining/living. Lots of living room seating. Furnishings/décor are dated but all in decent condition. Exterior was recently painted.